Sometimes you get the opportunity to visit an amazing property that surprises you. 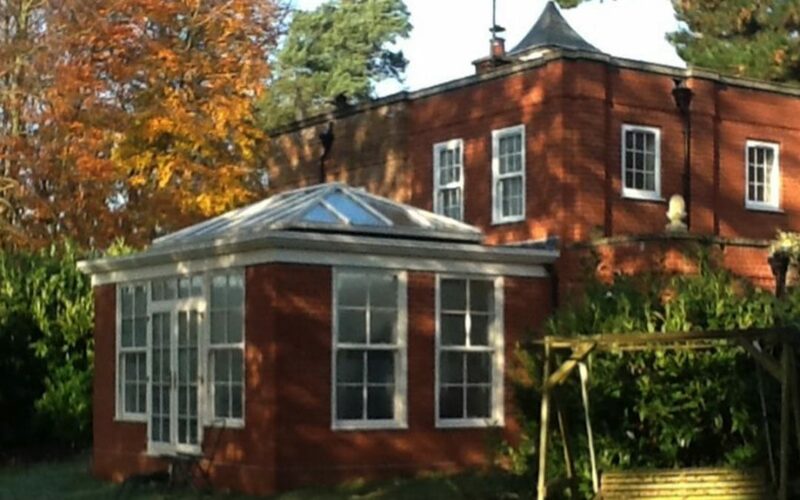 That’s what happened when we were asked to design an Oarngery extension for this old brick home. In fact the home was itself once the orangery for a much larger property and when it was inherited by the current owner, he set about making it fit his lifestyle. We have to be honest and say that the photos here really don’t do justice to either the home of the position. Given the age and history of this home, architectural features were in abundance! And the owner was looking for a building that would sit harmoniously with the existing house rather than something that was a contrast. So we set about matching the materials and style of the old orangery with new more thermally efficient materials from today. And we think we did a pretty good job. The brick may look new but it will weather and age in time to develop it’s own patina. And the windows of the new Suffolk Orangery are made from hardwood allowing them to be finished to exactly match the ones in the main building. And the fully glassed lantern roof is roof lantern is constructed with high insulated solar controlled double glazed toughened safety glass, creating a comfortable internal environment all year round. The actual size of the new Suffolk Orangery might surprise you and perhaps give you a hint at the scale of the original orangery home beyond. 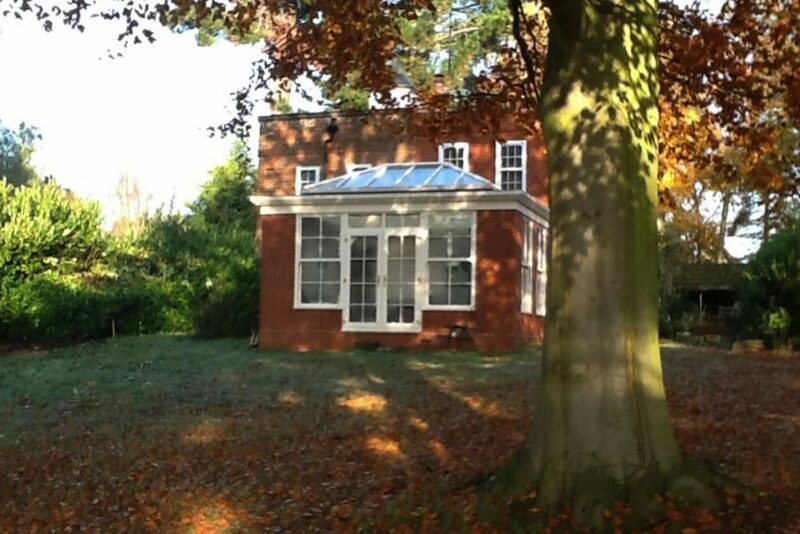 At 6.5 m x 4.2m the new orangery appears tiny and almost dwarfed by the magnificent building behind it. And the location of this home is also stunning. Bordering a river, this home enjoys a fantastic view through the trees that hug the waterline. When the sun is shining the large expanses of glass appear to shimmer just like the surface of the water beyond. We think we’ll be returning soon to take some more pictures of this glorious home, brand new Suffolk Orangery and the property it’s fortunate to be a part of.